On a hot summer day, there’s nothing like a piece of grilled fish on your plate. But, when you go food shopping, do you know how to pick up truly fresh fish? Well, all you need to do is approach a reputed shop which can provide you with high-quality fish. Wondering how to pick fresh fish? Read on to check out our comprehensive guide! When it comes to buying fish, quality and freshness are the most important factors you need to keep in mind. Whether you prefer prawns and lobsters or salmon and tuna, buying fresh starts from locating a good fishmonger. 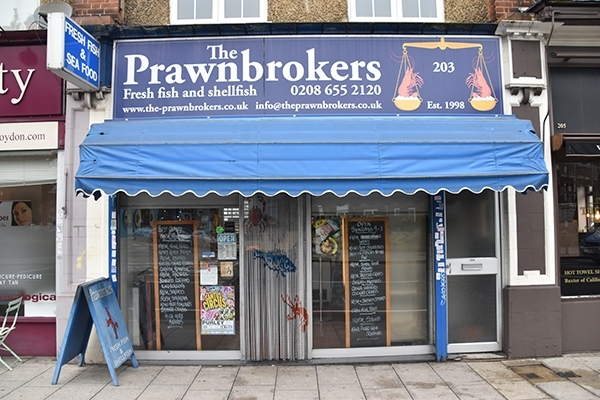 And, with a plethora of sellers to choose from, you need to look for a reputed fresh fish shop in Croydon who can provide you with a quality product and good value for money. Below is the complete guide to help you buy high-quality food for your family! What should Fresh Fish Smell Like? Your nose will instantly tell you whether the products in the shop are fresh. After you walk in the door, you should only smell a saltwater scent and not an ammonia-like odour or a ‘fishy’ stench. If you are buying pre-packaged products, consider taking a closer sniff. This is because poor odour can penetrate the plastic too. You should also check the date on the label as it will help you pick the freshest batch. What To Look For While Buying Frozen Fish? Frozen fish, when handled properly can be great quality. There are times when fish are flash-frozen directly on the boat just after the fishmongers catch them. Later these products are thawed and then sold as fresh products. While the quality of these fish may be superior to other packaged products, ensure they are not refrozen when you get back home. If you are buying pre-packaged frozen fish, make sure the product is solidly frozen when you purchase it. You should watch out for excessive quantities of water stains or ice crystals on the package. Be wary of cloudy liquid in the package if the package is clear. How To Spot Fresh Fish? 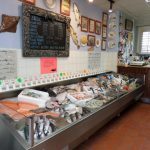 Visiting a quality fish shop in Croydon can be the key to buy the freshest fish for your house. Also, when it comes to choosing fresh products, your senses can be the best tool. Whole fresh fish must have shiny, tight scales and must not feel slimy or slippery. Its eyes should be clear and bright, not sunken or clouded in their sockets. Even the gills need to be clean and tinged with red or pink, not sticky. Though it might not be possible to prod and poke the fish before buying, the feel of the flesh is a major indication of the freshness. Smell is another important indication and so you must ensure that the fish you are buying has a pleasant smell. Now that you are aware of everything to look out for, it’s time to visit a reputed fish shop and bring home fresh fish for your family!